All good things come to an end. And a good thing it surely was! 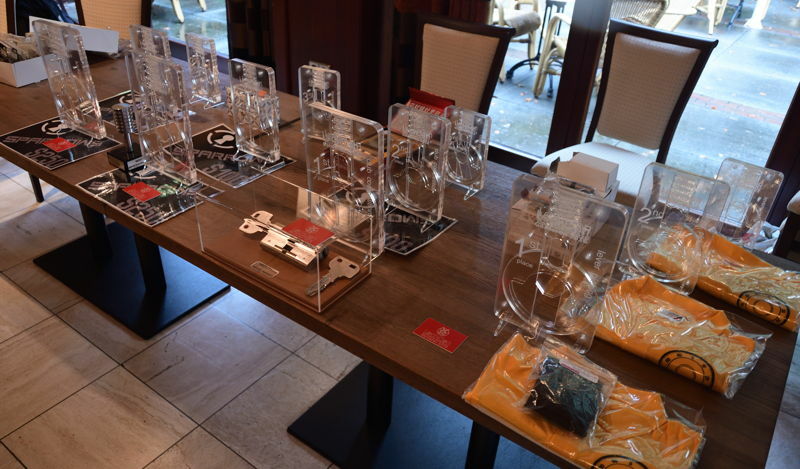 The attendees, from all over the world, were very happy with the way LockCon turned out. We are already looking forward to next year! I would like to thank Abus for sposoring the cylinders and blanks used for the impressioning championships. Then there were several companies who have sponsored prizes for the winners. M&C sponsored a whole bunch of their cylinders, but one really stood out: it is their new Condor cylinder, a cutaway version of it, but huge and fully functional! On the picture you see it, next to a regular M&C cylinder to give you an idea of the size. A real eye catcher! Sparrows Lockpicks sponsored coupons in worth of $800, Peterson gave away several of his famous picksets, Knaap Junior gave away polo shirts and Tokoz gave away some cylinders. Thanks! The second day of LockCon is also over. 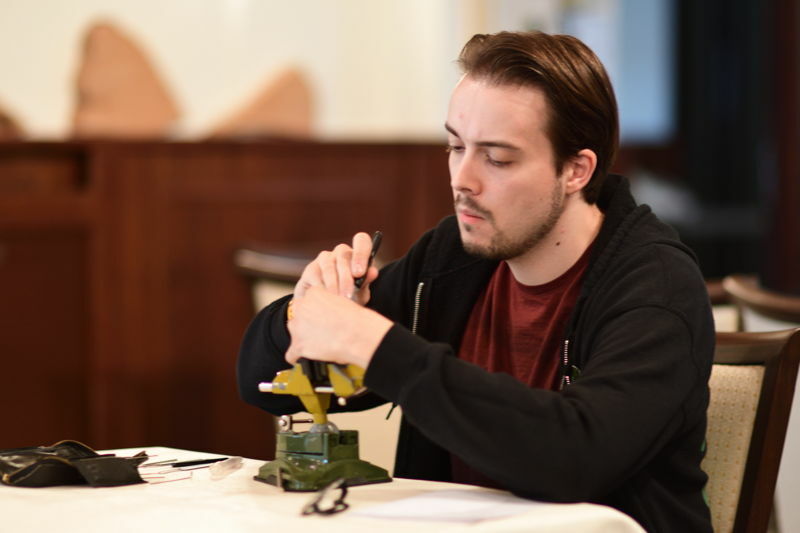 In between all the talking, lockpicking, lock swapping, socializing and such, there was time for workshops and lectures. 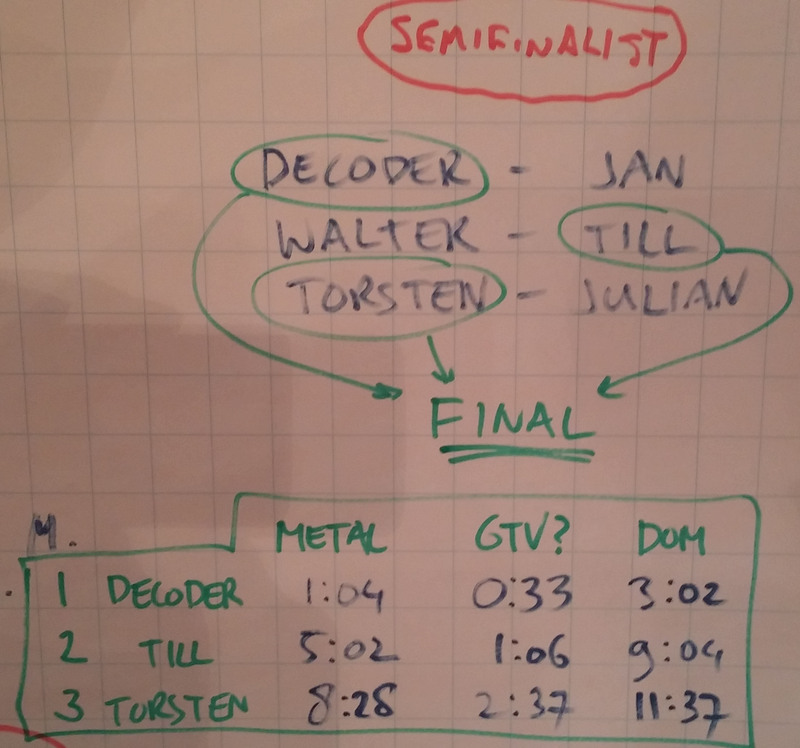 Jord gave a workshop lever lock picking, to prepare attendees for the championship tomorrow. After that, Peter Field discussed techniques used by lock manufacturers, with his wonderful pictures that show the working in fantastic detail. 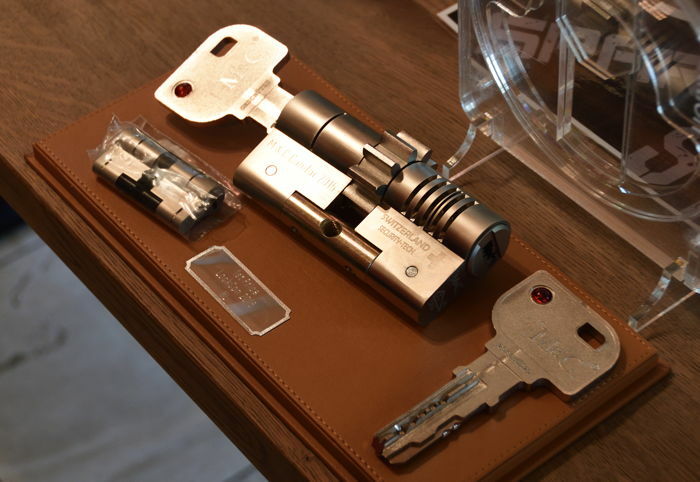 Next, Jan and Michael talked about their adventures milling EVVA 3KS keys. Eric came across a certain motorbike lock that needed opening and he decided to use a decoder for it of which he explained the working. The evening was ended by the premiere of “American Lockpicker”, a documentary about Schuyler Towne by Ben Hartman.